At the south end of Kai Bae Beach next to Mochaccino Cafe are the Sea Breeze Bungalow accommodation. 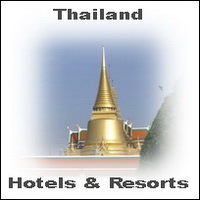 The Hotel offer clean furnitured rooms with Air Condition and Hot Shower for a good price. The staff Team from this two rows Guest House Park on Koh Chang Island are friendly and helpful for Travel Tips and Tour Booking around Ko Chang. To the Gulf of Thailand it´s round about 100 meter, so easy to reach by foot. Just pass the street and turn left at Papa’s Bakery, the next possibility you can turn right and than you come direct to Kai Bae Beach and to the warm tropical Sea. 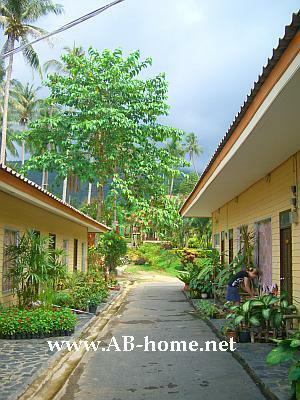 At Sea Breeze Bungalows in Kai Bae on Koh Chang there are some options of room types. All Rooms have a King sice Bed, TV, Fridge, Air-Con and a hot shower but the smaller ones are a bit cheaper than the bigger rooms. Sea Breeze accommodation are a good options for traveler, Backpacker and Tourists on holiday’s who like a bit comfort for cheap money. Nearly every Room have a big window for enough light inside the big rooms. For more Information about Accommodation at Kai Bae Beach on Koh Chang in Thailand take a look in your Lonely Planet Travel Guide or contact a booking office on Ko Chang Island.